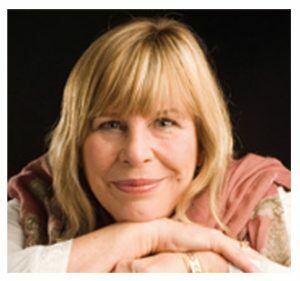 In 2004 Roel started his training with Sandra Ingerman, former educational director of the Foundation for Shamanic Studies and author of “Soul Retrieval” and “Walking in Light”. 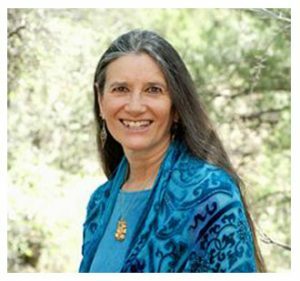 She personally authorized him to teach the shamanic journey, Soul Retrieval, Extraction, Death & Dying, Medicine for the Earth en Healing with Spiritual Light. Apart from this work he has developed numerous own practices and fascilitates shamanic rituals and ceremonies for transformation and healing. He has been recognized by several traditional shamans for his ability to bring in very pure energies and tap into ancient songlines from the Spiritworld. His work with healing songs, that are often only sung once, has become an intrinsic part of his teaching and healingwork. Roel’s way of teaching is heart-centered and focussed on reclaiming power in service of compassion and Mother Earth. Characterized by simplicity and a focus on direct contact with the Spirits, his trainings are innovative and filled with ceremonies and healingmodalities that were given to him through his contact with the Spiritworld. Healing and the openening of the heart is always the central focus. Roel has been teaching shamanism since 2003 and worked with thousands of people in Belgium, the Netherlands, Sweden, Italy and France. He is the Founder of the Anam Cara spiritual center in Belgium, which he runs together with his wife Griet Heylen. His publications on shamanism have been featured in magazines as Bres and Change. From an early age Roel has been captivated by native art and the creative process. He studied art from the age of 14 untill 24, when he graduated as a Masters in Fine Art in St-Lukas Academy in Brussels, where he was mainly focussed on installation work, photography, etching and drawing. 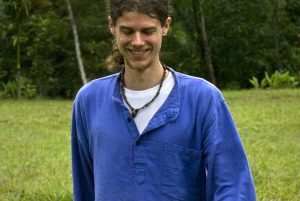 After his graduation he left the arts a few years to solely focus on building the Anam Cara center and deepening his shamanic practice. In 2004, in a powerful dream, he was instructed by his spirithelpers to start painting a healing symbol, as a preparation for a 5-day retreat he was fascilitating in Sweden. This dream gave birth to a new chapter of art, that is rooted in his shamanic experiences of the spiritworld and dreamwork. His paintings are mostly in a mixed technique of airbrush and brush or in ‘Mish-technique’, which is a combination of tempera and oil painting. During the last years he has been studying with various teachers in painting. 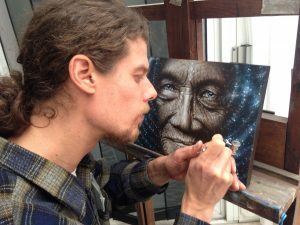 He studied Airbrush with both A. Andrew Gonzalez and Marissa Oosterlee and Misch-technique with Amanda Sage, David Heskin, Kuba Ambrose, Vera Atlantia and Daniel Mirante. His focus now is to integrate photo-realistic elements with his more abstract, and filled with symbols, visions. His focus is to transmit the healing power of the spiritworld through his paintings. Through working with the Indonesean ritual master and ritual sculptor Kanwa Adikusumah since 2003, Roel recently started working with sculpting (wood) himself, coming from a place of ritual and connection with nature. He is currently recording a cd with a selection of healing-songs that will be released in 2019.